Puched flowers really make this card pop. 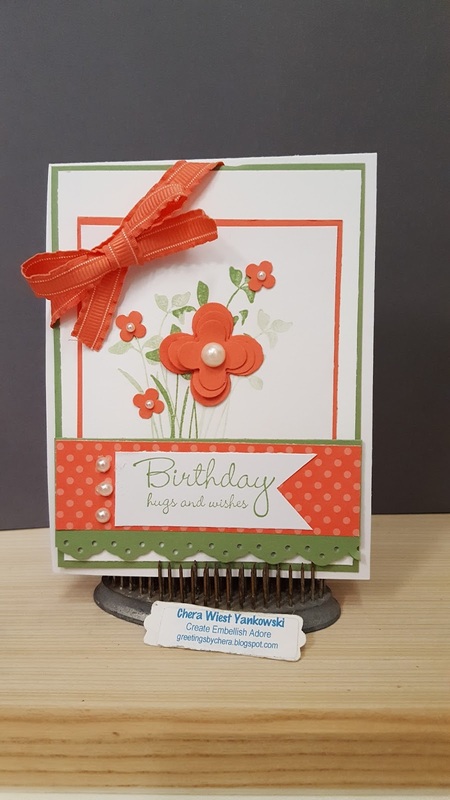 Adding the pearls give this card some depth & prissiness. I love the orange and the green together! I guess my bow couldn't been a little tighter too, huh? Have a great day ! Hug the ones you love! Thanks for stopping by!